The Bears have claimed former Lions FB Michael Burton, just one day after being waived by their division rival. 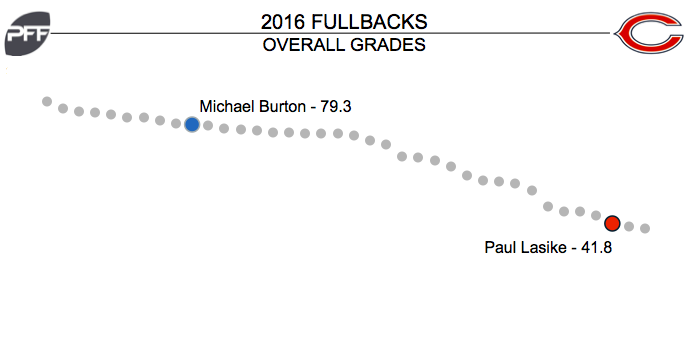 Burton finished 2016 with a grade of 79.3, only slightly down from his 80.6 grade in 2015.Had he played enough snaps to qualify for a rank, he would’ve finished as the 10th-highest-graded fullback last season. Bears FB Paul Lasike played 76 snaps last season and finished with a grade of 41.8. Burton offers a significant upgrade for the Bears at a position used on par with the NFL average last season.